सीखो Can and Could का English Grammar में सही use. 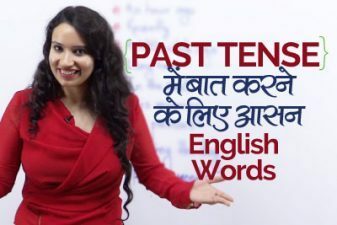 In this English Grammar Lesson through Hindi, learn the correct use of Can and Could in English Grammar by Michelle. Can and Could are modal verbs. Your English teacher Michelle has explained the correct use of these modal verbs in all tenses and how to use them in spoken English for daily conversations. She has given you ample sentences for practice. 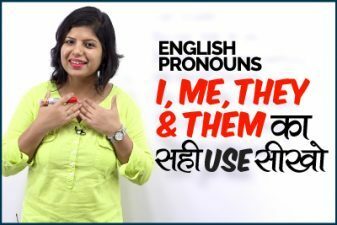 This video lesson is helpful to the everyone who want to learn English grammar in Hindi. This Grammar lesson provides step by step explanation of how we make English sentences to talk about a possibility or impossibility in a given situation, it also tells us the ability and inability of someone or something with the use of Can and Could. In English grammar, Can and Could are used in multiple ways, so this free English lesson by Michell would help you clear this confusion with it’s usage. Most people think that only May or Might can be used for permission, so Michelle has explained how you could use Modal verbs Can and Could for permissions in English. Michelle has also given a lot of daily use sentences for your English speaking practice with translation through Hindi. In this lesson, Michelle has also described the sentence structure you should use such sentences, and the difference between the use of Can and Could, Cannot / Can’t, Could Not / Couldn’t in all tenses – Present tense, Past tense, and Future tense through this lecture. If you want to learn how to use Modal Verbs Can and Could in English grammar, this video lesson is useful for beginners. For advanced English students, this video is helpful because it covers the topic of Could in active passive voice, and difference between can and could from May and Might as well. 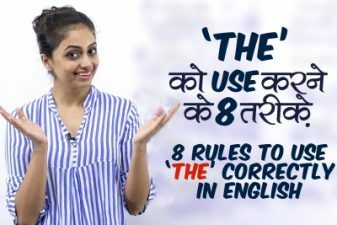 If you want to understand the basics of English grammar to speak English fluently and confidently, this video with help you to understand the lo grammar rules during English conversation. This English tutorial for competitive exams such as Bank PO, SSC CGL, CAT, IELTS, TOEFL, etc. Next Next post: English Phrases To Talk About Relationship Status.